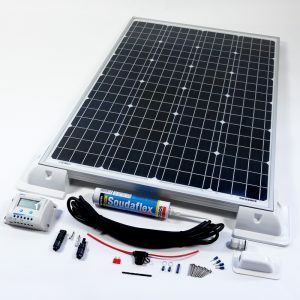 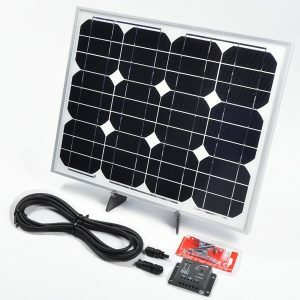 Solar kits, solar battery chargers and solar panels for caravans. 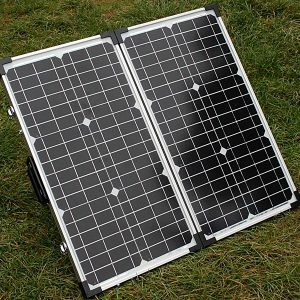 From 10w to 120w and larger (contact us) our solar systems will allow your caravan to go further. 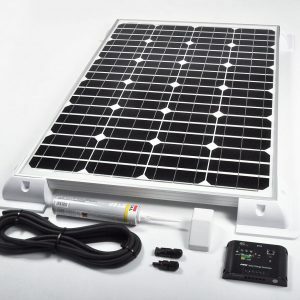 From a short weekend break to month long breaks you can use solar power your holiday. 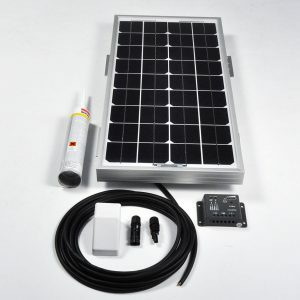 Lights, water pumps, TV’s and even your fridge can be run from solar. Using a 12v Solar Panel Kit for your caravan is an ideal way to ensure that your battery is maintained to the highest standard. 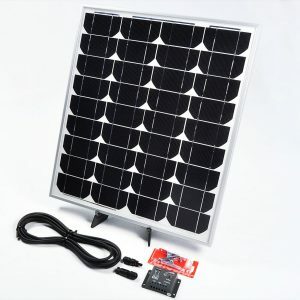 After the winter period of little to no use a solar panel will ensure that the battery is not flat. 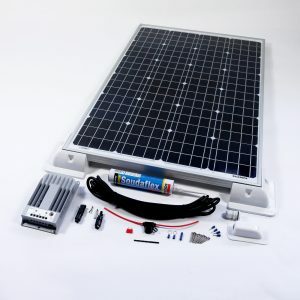 It will act as a 12v Solar Battery Charger. 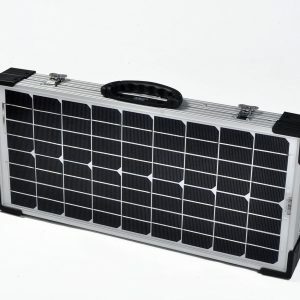 When you are away and parked up you will no longer have to plug in to a power source or run your engine or generator as the battery level reduces. 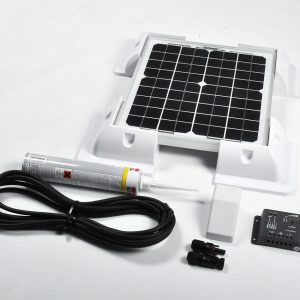 Use one of our easy to install kits and it will end up saving you money. 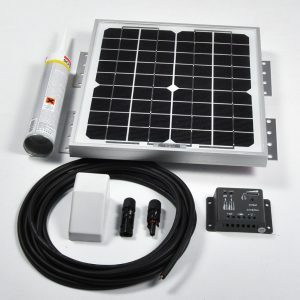 Install a caravan Solar Panel Kit and you may never have to run a generator or plug in to a power supply again. 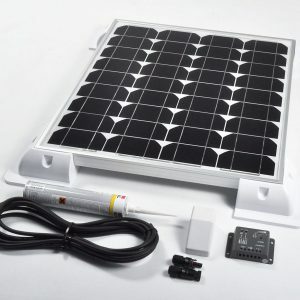 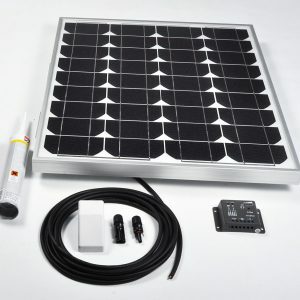 With every professional quality 12v Solar Panel Kit we use the highest grade components to make sure that when they are used in these harsh conditions reliability is not compromised. 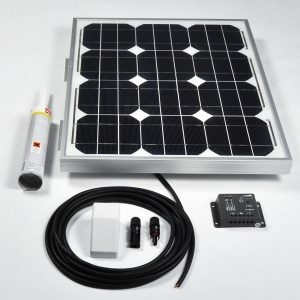 Every caravan Solar Panel Kit comes with a full 5 year warranty, low prices and our technical backup. 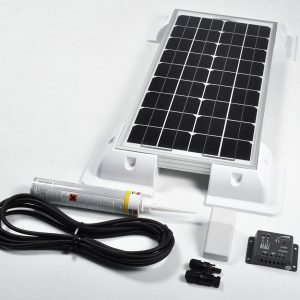 Our kits are easy to install but if you don’t have time or would prefer a professional to install it we can help. 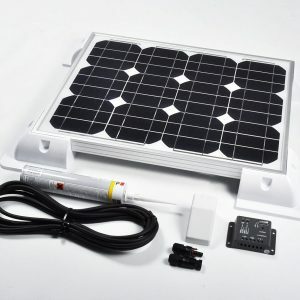 We have a network of approved installers around the UK. 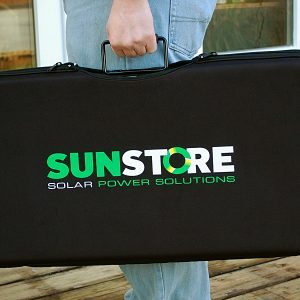 Call or email us and we will recommend a local company.